1. 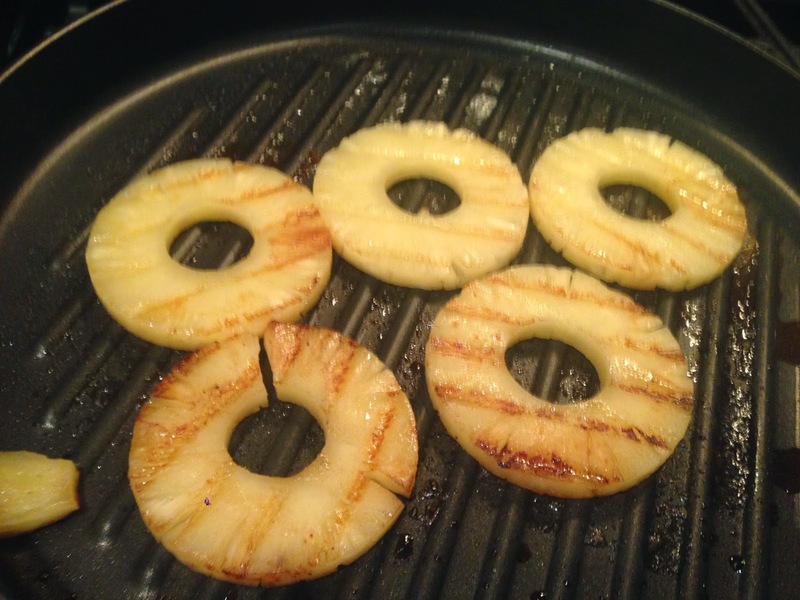 Grill pineapple slices on a grill pan over low heat. Cut into smaller, bite size pieces and set aside. 2. 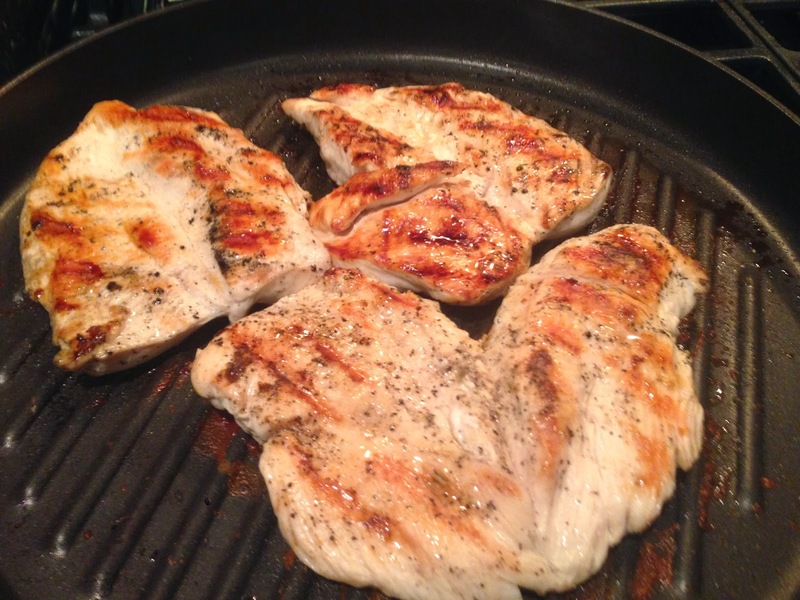 Sprinkle chicken breasts with salt and pepper and place on the grill pan. Cook on both sides until done, brushing with barbeque sauce. Remove from heat and cut into thin strips or small pieces and set aside. 3. Warm large skillet or griddle and drizzle with olive oil. 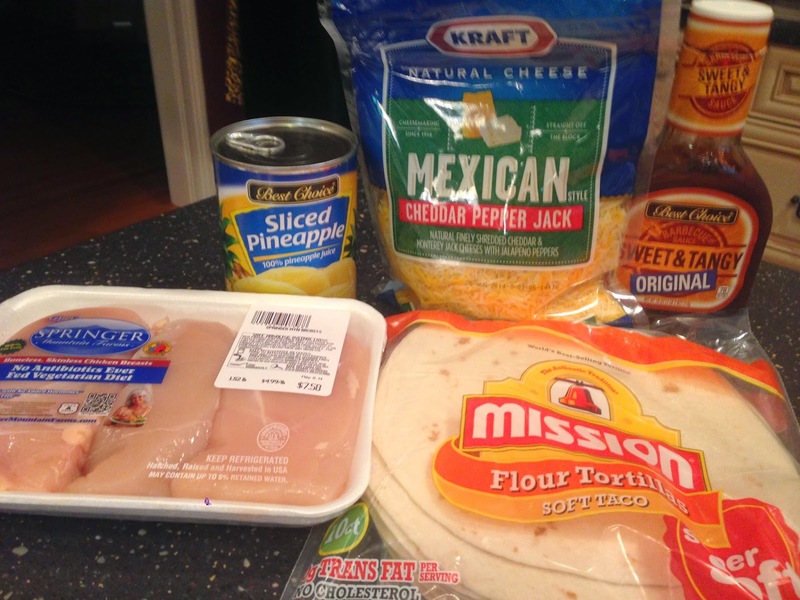 Place tortillas on skillet, sprinkle with grated cheese, chicken and pineapple on one side of tortilla. 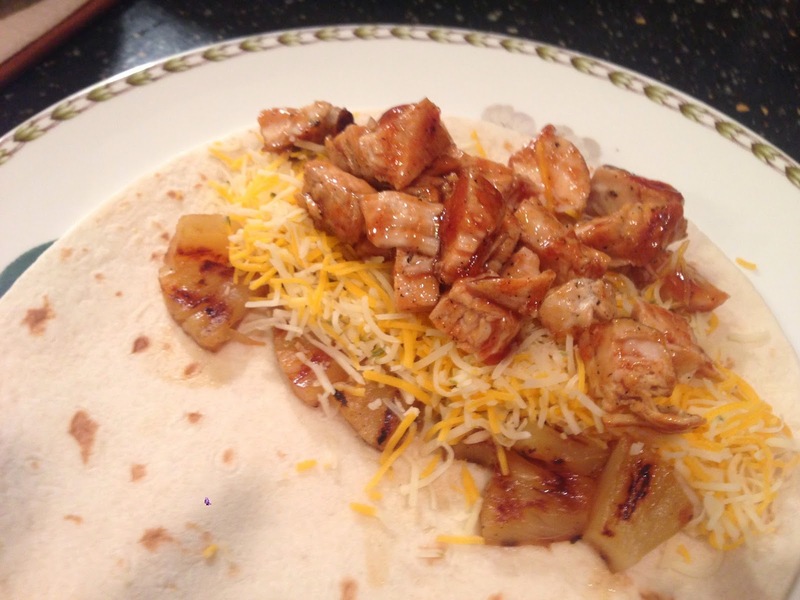 Top with a drizzle of barbeque sauce and fold over half of tortilla. 4. 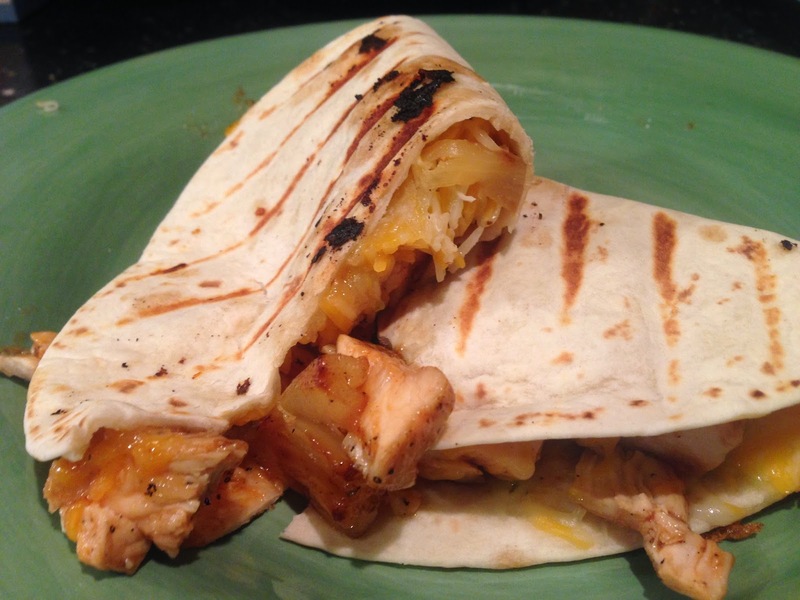 Cook until cheese is melted and quesadillas are golden brown and warmed through.